Send a stunning flower arrangement, exclusively designed by our top florists. A colourful bouquet of mixed roses, carefully selected from our flower shop, would make a magnificent gift for any occasion. 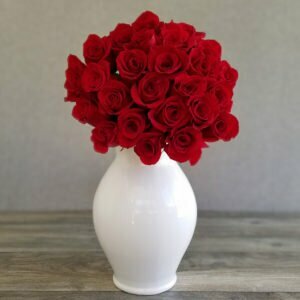 Order roses online today and delight your loved ones with a surprise bouquet! Our beautiful bunches of 50 mixed roses are hand chosen by our professional florists and arranged, using only the finest quality flowers. 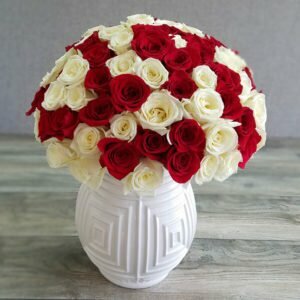 These exquisite, vibrant bouquets make a fabulously unique gift. Yellow, red, white, purple or pink, our expert florists make sure your flower arrangements always complement each other. 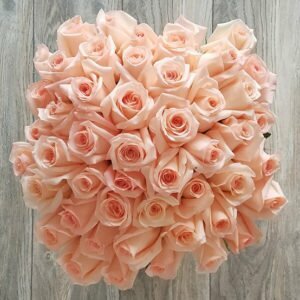 Send roses for a birthday, anniversary, congratulations or any other special occasion. 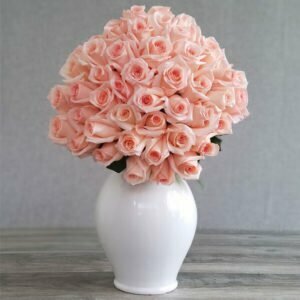 Order professionally designed flower arrangements and get next day delivery. 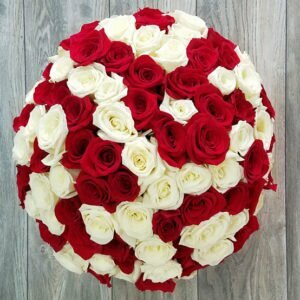 Our luxurious mixed rose bouquets are wrapped in Mia Roses white paper and hand-tied with 2 top quality coloured ribbons. Choose the colours you think your special someone would prefer. 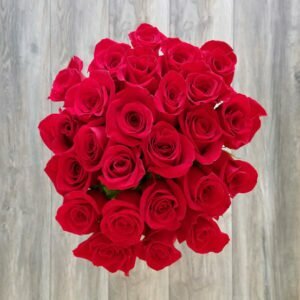 Create a personalised message printed on an elegant postcard for the definitive personal thought, so you can send roses as a truly unique gift.